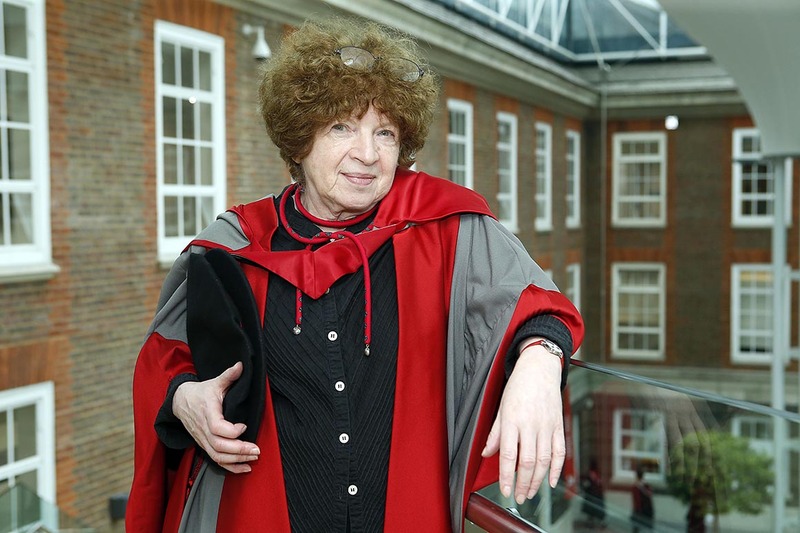 Influential writer on art and exhibition organiser, Jasia Reichardt, has been awarded an honorary degree by Middlesex University. She was presented with the award at the University's graduation ceremony, today, on Monday 13 July. The former assistant director at the Institute of Contemporary Arts (ICA) has a particular interest in the relationship between art, the written word, technology, science, and the theatre, which led her to organise notable exhibitions and events exploring these connections. Among them were Between Poetry and Painting and Cybernetic Serendipity. During her time at the ICA she organised other memorable exhibitions, such as Fluorescent Chrysanthemum, celebrating experimental art in Japan, and Play Orbit, a pageant of toys designed and made by artists. Later, Jasia became director of the Whitechapel Art Gallery. Other projects followed, including Electronically Yours, a show about electronic portraiture shown in Tokyo. She has contributed to many exhibitions and conferences around the world. She has written for most of the international art magazines and published a number of books on various subjects, several of which deal with art and technology. Her latest exhibition about people's timeless ambition to recreate themselves, called Nearly Human, opened in May 2015 in Gdansk, Poland. Middlesex University Vice-Chancellor Professor Michael Driscoll said: "Jasia is a highly respected figure in the art world and has interestingly brought together a variety of areas to create remarkable and thought-provoking results. "It was an honour for our staff and graduates to welcome Jasia Reichardt to Middlesex and present her with this award."